Each Atlas features fully openable hatch, comes with 6″ tall and articulated pilot; and light up feature for top part and cockpit with interchangeable blue and red lights. Please see the specs for the full info. 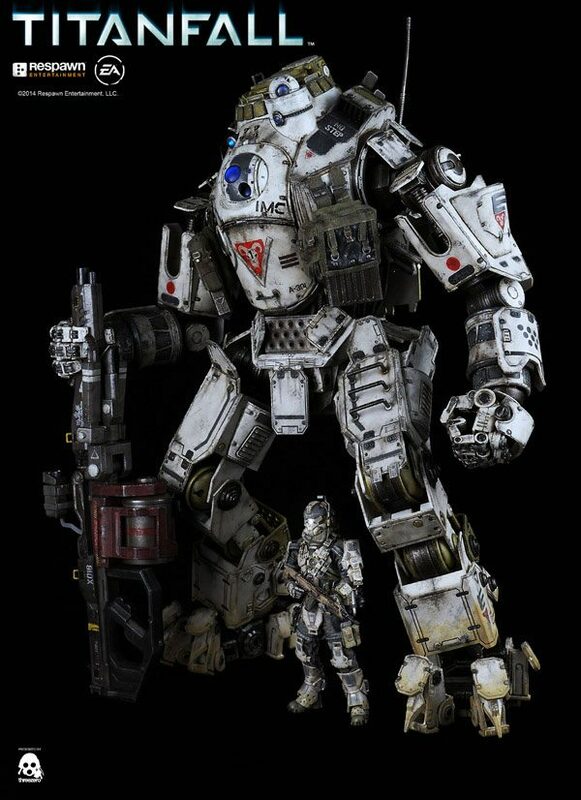 In addition to XO-16 Chaingun, Titanfall Atlas purchased at threezerostore.com will be coming with ARC Cannon, which is exclusive to threezerostore and will not be available anywhere else! 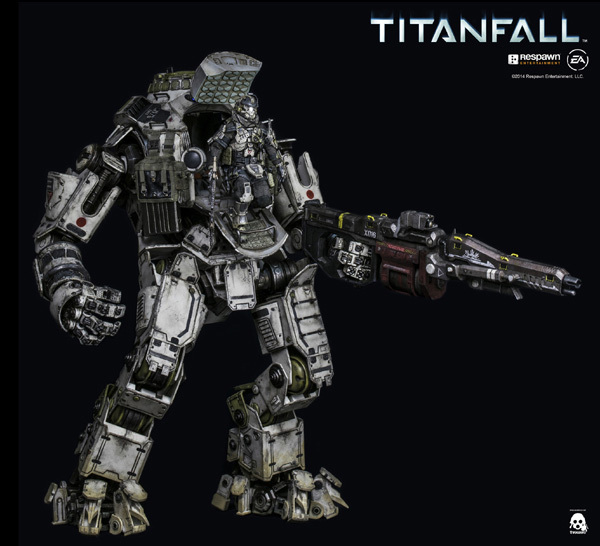 Below you can find the detailed specs of 20.5″ (52.1cm) tall Atlas and 6″ (15.2cm) tall pilot. * model stand with ~20inches tall. 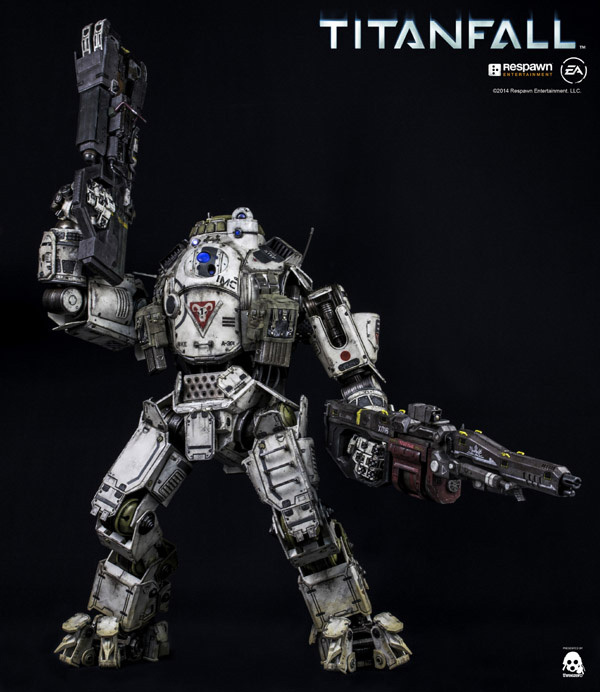 * incredibly detailed and over 100 articulation parts. * 5 real pistons control the movement of the waist. * fully openable hatch with cockpit. 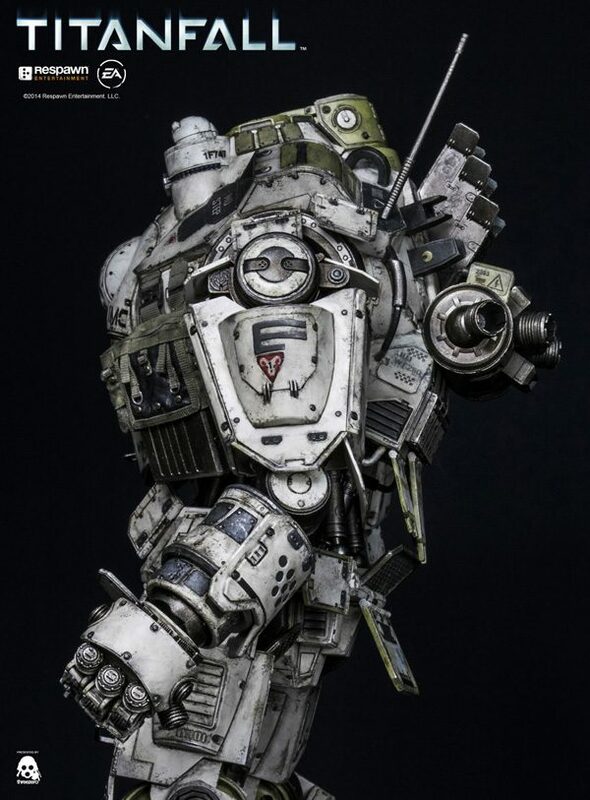 * movable armor plates on both torso & legs. * light up feature for top part and cockpit with interchangeable red & blue color. * rotatable front vision ball. * 2 side gun magazine case with fabric material. * articulating fingers & toes. 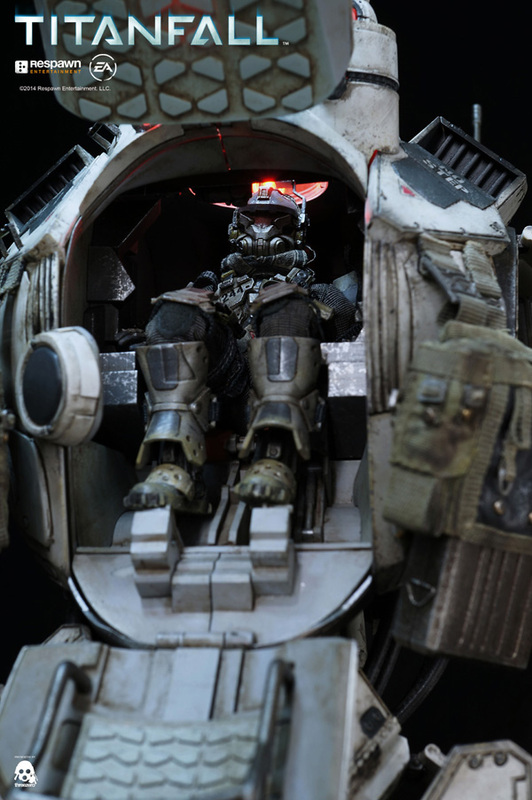 * fully posable 6 inches IMC Battle Rifle Pilot figure, which can be position inside the cockpit. 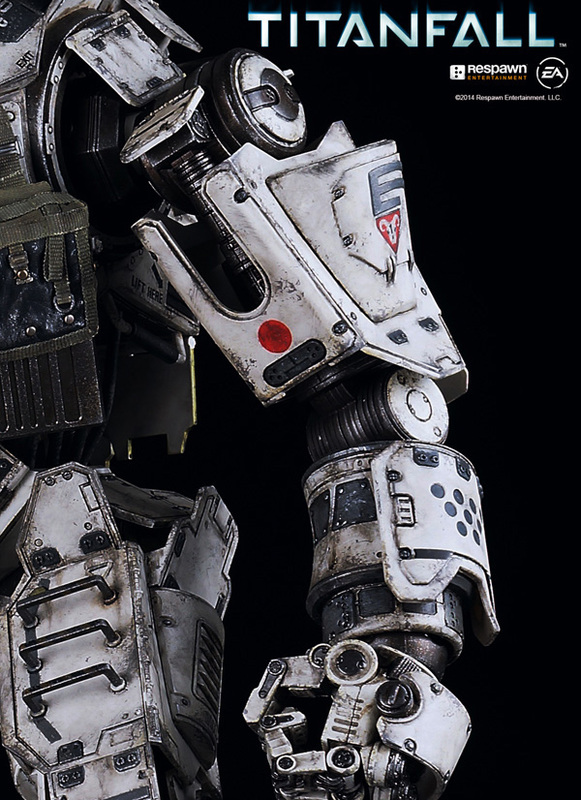 * pilot figure comes with detailed armor parts, with R-101C Carbine and fabric clothing. Please make one more or tell me where to find one please! 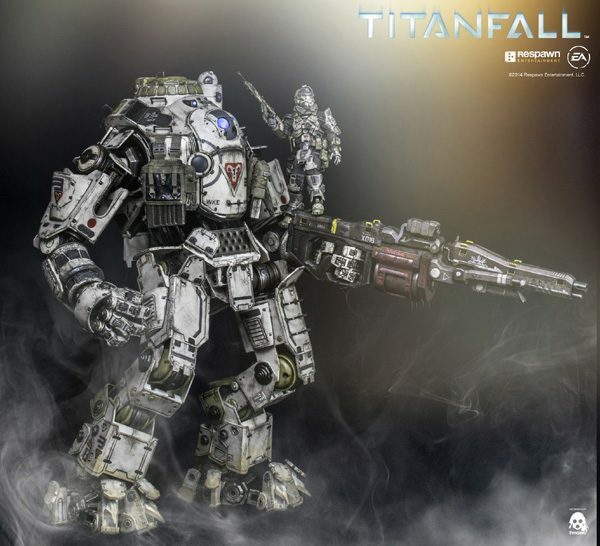 I still can’t believe that ThreeZero made these Titans. They are unique in every way and tower over most toys in it’s class. If big is more beautiful, then ladies and gentlemen we have a winner. 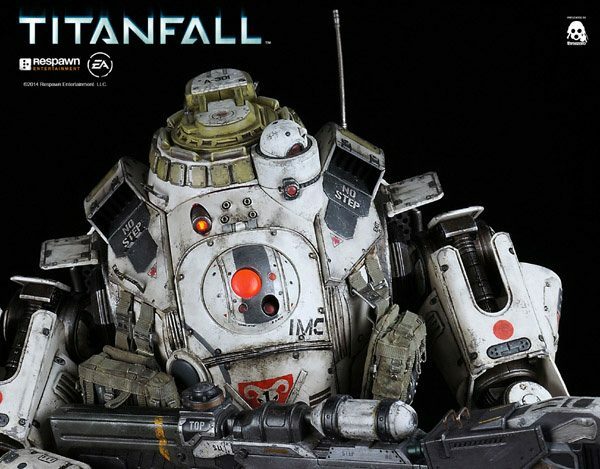 These Titans will draw the eye of any envious collectors who see this in your collection.